We invite you and your youth groups to experience the outdoors and learn more about our country’s culture and history. Congratulations to the “Wilson Fire Crew” from the Dr. Roy Wilson Learning Centre in Medicine Hat, Alberta, on their photo essay “Wilson Learning Centre: Committed to Our Land and People” that landed them this year’s grand prize trip to Parks Canada places in Ontario! The first week of voting has come to an end! The 10 photo essays that are currently leading the pack with the most votes are listed below. Stay tuned to see if these leaders can hold their spots! We’ll announce the top 10 of week two on March 16, and the final top 10 photo essays that will move on to the judging round will be announced on March 21. Good luck and get voting! Hey Canada’s Coolest School Trip contest participants! Are you eager to show Canada the positive change you’ve been busy spreading in your communities? To help you think of ideas to promote your entry within your community for votes, we have put together some examples of activities to engage your potential supporters and voters! Remember, these are only suggestions and if you have another idea in mind, go for it! Be creative and have fun! One lucky class will win the 2018 Canada’s Coolest School Trip contest, an epic five-day adventure to Thousand Islands National Park and Fort Wellington, the Rideau Canal and Laurier House national historic sites! Hey Canada’s Coolest School Trip contest participants!!! By now you have hopefully registered for this year’s contest and are starting to think of some AWESOME stewardship activities to do for a chance to win your class a 5-day, all-expenses-paid school trip to Parks Canada places in Ontario! We cannot wait to see the positive change you spread throughout your communities. The 2016/17 Canada's Coolest School Trip was a blast! 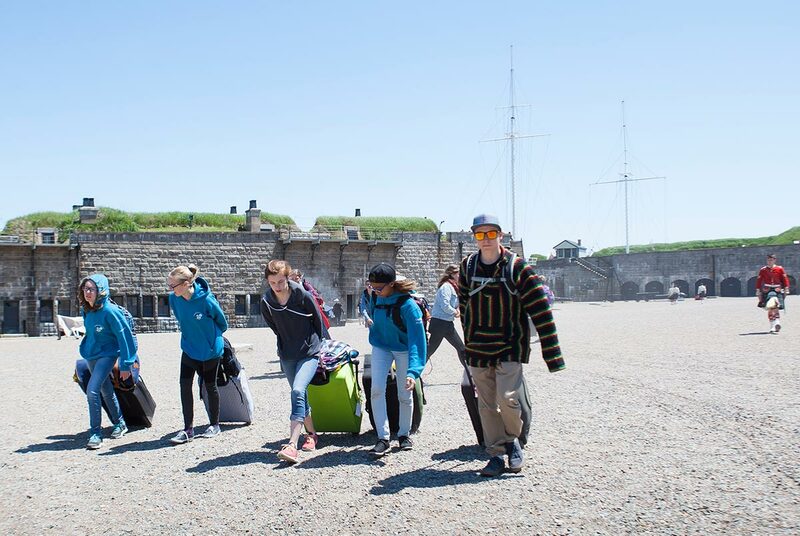 In June, one lucky grade 8 class from Lethbridge Alberta, travelled across the country to Nova Scotia for a once-in-a-lifetime experience they will never forget. From cricket to camping, hiking to museums and campfires to stargazing, this class made sure no opportunity was missed during their Canada’s Coolest School Trip! The competition was tough and we admire every class for their efforts during the voting period. Thanks to you, a total of 50,269 votes were cast! We are thrilled to announce the final Top 12 classes that received the most votes overall and that will move on to the judging round. These classes are now one step closer to winning the grand prize, a trip to Parks Canada places in Nova Scotia! Congratulations!